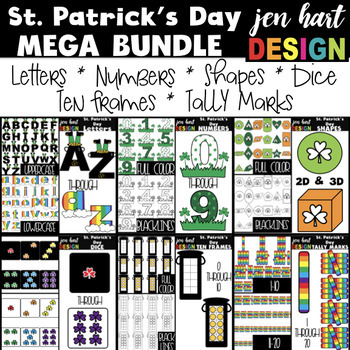 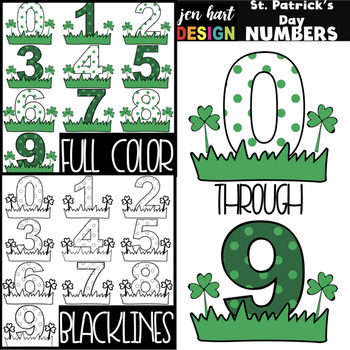 St. Patrick's Day Clip Art -St. Patrick's DayMega BUNDLE is PACKED with 244 letters, numbers, shapes, tally marks, dice, and ten frames! 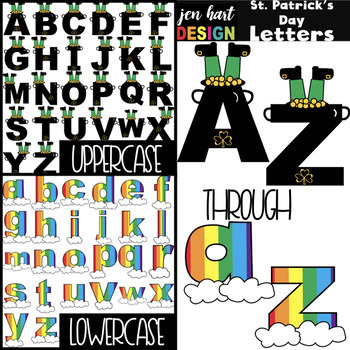 6 full sets of clip art with a festive theme! 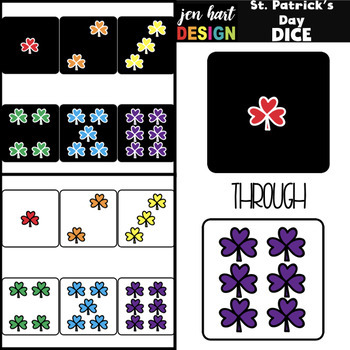 As with all jen hart DESIGN clipart products, blackline images are included!